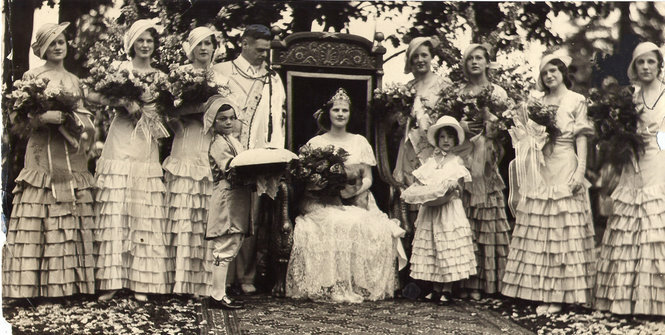 Frances Kanzler was selected as the 1932 Rose Festival Queen of Rosaria. Frances attended Washington High School and was the daughter of Judge Jacob Kanzler. The 1932 Rose Festival Court with Queen Frances Kanzler seated in the center. Photo published in "The Oregonian" on June 17, 1932.